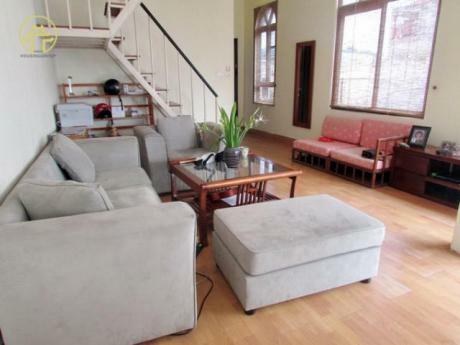 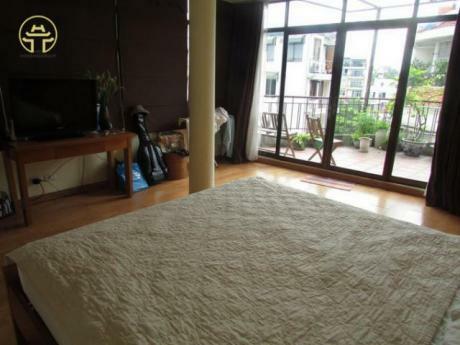 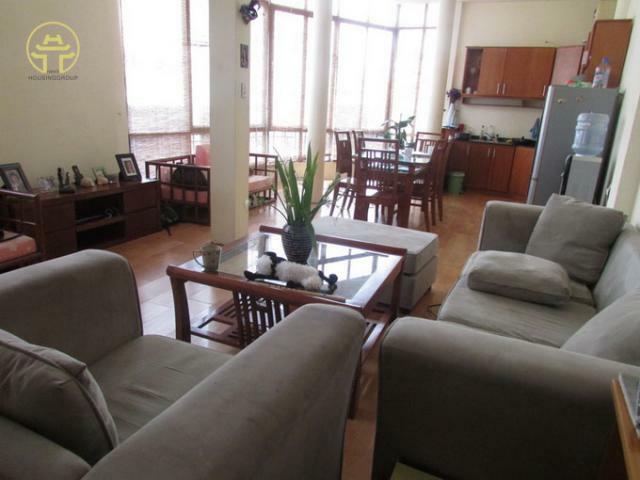 This is a duplex two bedrooms apartment for rent on a quiet street within walking distance to Truc Bach lake and Old Quarter, direct taxi access, a few minutes driving to city center and West lake, close to Sofitel Plaza. There is a living room, equipped kitchen, dining area, toilet are on the first floor with an open concept design. It has 02 bedrooms, 02 bathrooms are on the second floor, the master bedroom having a very big size terrace, suitable for set up some chairs, coffee table or relaxing place.The rent included high speed wifi, cable TV, tap water and security 24/7.